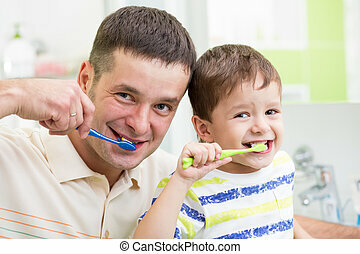 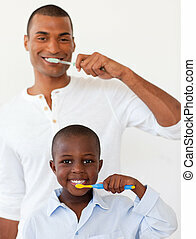 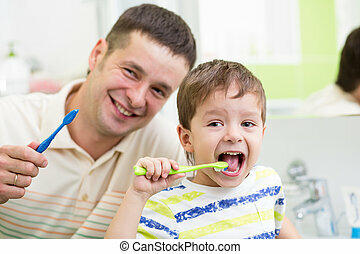 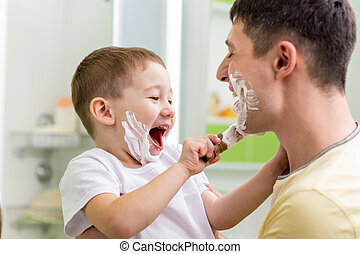 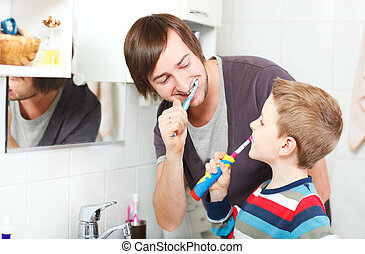 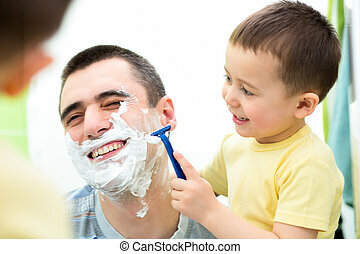 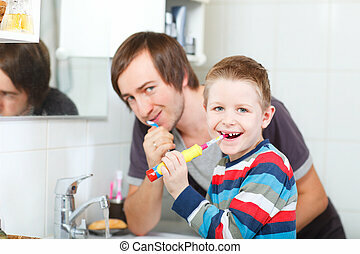 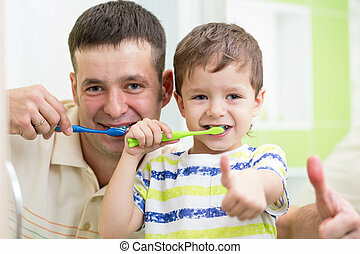 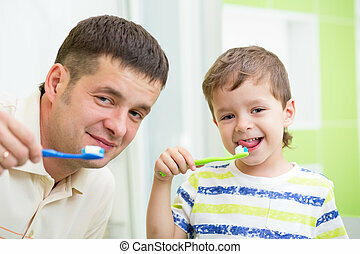 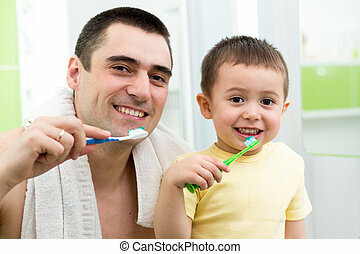 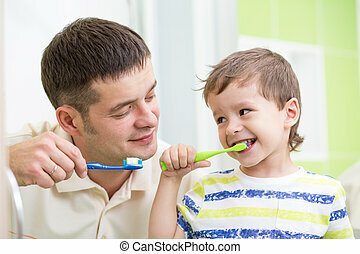 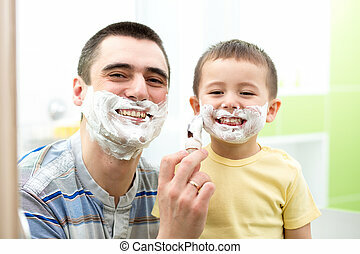 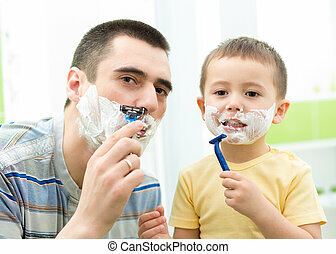 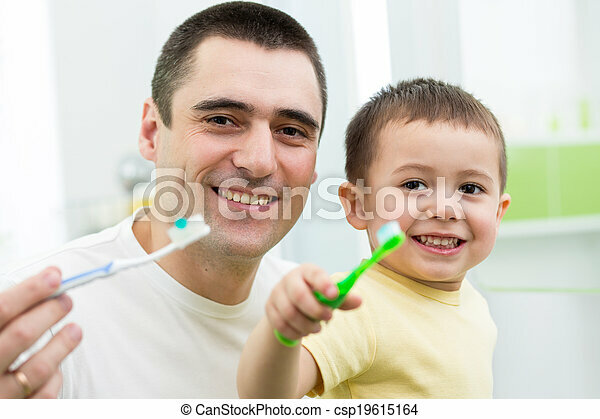 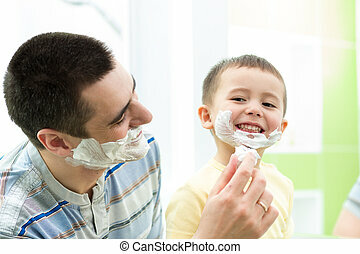 Father and child son brushing teeth in bathroom. 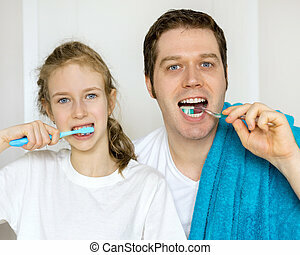 Father and his daughter brushing teeth in bathroom. 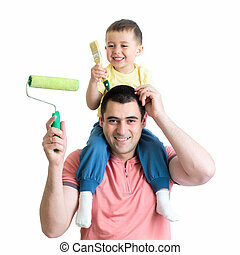 Father and child paint together. 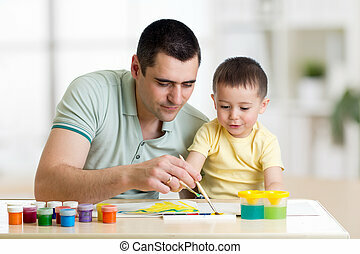 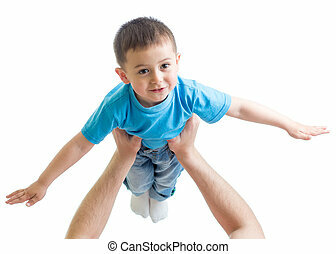 Dad teaches his son how to paint correct and beautiful on paper. 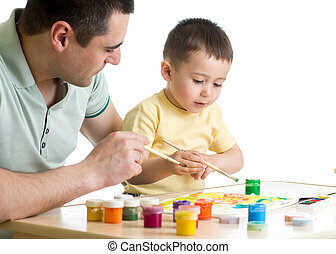 Family creativity and education at home.